Jewish American progressives are falling for the oldest trick in the Zionist playbook: the conflation of Zionism with Judaism. The ultimate victims of this propaganda ploy are always Palestinians. Last Sunday, Sheldon Adelson’s Republican Jewish Coalition (RJC) welcomed President of the United States, serial sexual harasser and inspiration to murderous white supremacists worldwide – Donald Trump – as a god. Members of the audience brandished “Trump”-embroidered Kippahs, enthusiastically clapped at the President’s overt incitement against Rep. Ilhan Omar and swallowed whole his anti-Semitic reference to Benjamin Netanyahu as “your Prime Minister” – a clear suggestion of dual loyalty. In an act comparable to the ancient Israelites’ worshipping of the Golden Calf, Senator Norm Coleman, who once called Trump: “A bigot. A misogynist. A fraud. A bully,” led a Passover Dayenu chant in which he replaced “God” with “Trump”. 10 young American Jews disrupted Trump’s speech at the National Jewish Republican Coalition (RJC) Pro-Israel Rally at the Venetian Ballroom in Las Vegas. As soon as Trump began to speak, they stood up and chanted, “Jews are here to say Occupation is a plague. Jews are here to say white nationalism is a plague,” a reference to the 10 plagues remembered in the upcoming Jewish holiday of Passover. They then sang the Hebrew song Olam Chesed Yibaneh, “We Will Build This World With Love” as they were removed from the auditorium. Yonah Lieberman (@YonahLieberman): Going after both #Birthright and Trump in 24 hours has got the Jewish right using Nazi rhetoric to try and intimidate the new Jewish Future. Rafael Shimunov (@RafaelShimunov): Between Sheldon Adelson putting Trump’s name on his kippa [sic], and the @RJC replacing God with Trump in one our holiest prayers as Jews, Republican Jews have officially ______________? The responses to Shimunov’s quiz included: sold out, Gone meshugganah and embraced extremism, among others. However, these progressive American Jews do not implicate the real culprit. In spite of its name and best efforts, the RJC is not a Jewish organization, but a Zionist one. Its members are not “the Jewish right” or “Jewish fascists”, but simply “Zionists”. Only Zionists would worship an anti-Semite like Trump in return for unconditional support of Israeli apartheid, much like the vast majority of Zionist Israelis who adore Trump within the supposed “Jewish state” itself. It is not Republican Jews who have “sold out” or have suddenly “embraced extremism”, but Zionists since the very inception of the movement, well before the establishment of the state of Israel and until today. In logical confluence, Neo-Nazis have been inspired by Israel’s policies and the term “white Zionism” has been used to describe the emerging “alt-right” neo-fascistic movement, the very one Trump spearheads. Unsurprisingly, Ben Shapiro, a Zionist Republican who also happens to be Jewish, has inspired far-right Islamophobes, including the Quebec mosque shooter Alexandre Bissonnette. Yet crucially, Zionist collaboration with anti-Semites and white supremacists crosses the aisle. For it was a Democrat, liberal Zionist Jew – Batya Ungar-Sargon of The Forward – who instigated the fallacious smear campaign against Rep. Ilhan Omar which she then used as a marketing tool to fundraise under the guise of a Jewish vanguard against anti-Semitism. Ungar-Sargon’s smear was picked up by establishment Democrats, overtly racist Republican Zionists, the President’s son and Trump himself numerous times, including as a means to mock Rep. Ilhan Omar at the Sheldon Party. The conflation of Zionism with Judaism serves to distract from the plight of Palestinians by focusing on a manufactured crisis within the “Jewish community”, downplaying the role of empire and other capitalist supporters of the Zionist project. The distinction between “Jewish” and “Zionist” here is crucial, and one only needs to glance across the pond at the United Kingdom to learn why. Labour Party leader Jeremy Corbyn, who has consistently shown solidarity with Palestinians and conveyed criticism toward Israeli apartheid in tune with socialist ideals, has been hypocritically vilified by Zionists for supposedly tolerating and even inspiring “anti-Semitism” within the Labour Party. The campaign against Corbyn relies on the International Holocaust Remembrance Alliance’s (IHRA) highly controversial and flawed definition of anti-Semitism which in its examples, erroneously and opportunistically conflates criticism of Israel with anti-Semitism. What’s more, Jewish party members who support Corbyn and the Boycott Divestment and Sanctions (BDS) movement, such as Jackie Walker, have been abused, suspended and even expelled. Meanwhile, Ella Rose, who was featured in the Al Jazeera documentary ‘The Lobby’ threatening Jackie Walker with physical violence is still a member and was recently elected by the Jewish Labour Movement (JLM) as its new “Network officer”. Unsurprisingly, the Zionist smear campaigns in the UK against politicians and activists who convey support for Palestinians and BDS and resist Zionist settler colonialism, apartheid and genocide show a striking resemblance to the recent defamation of Minnesota Rep. Ilhan Omar and members of the women’s march and as part of a larger effort against Senator Bernie Sanders. 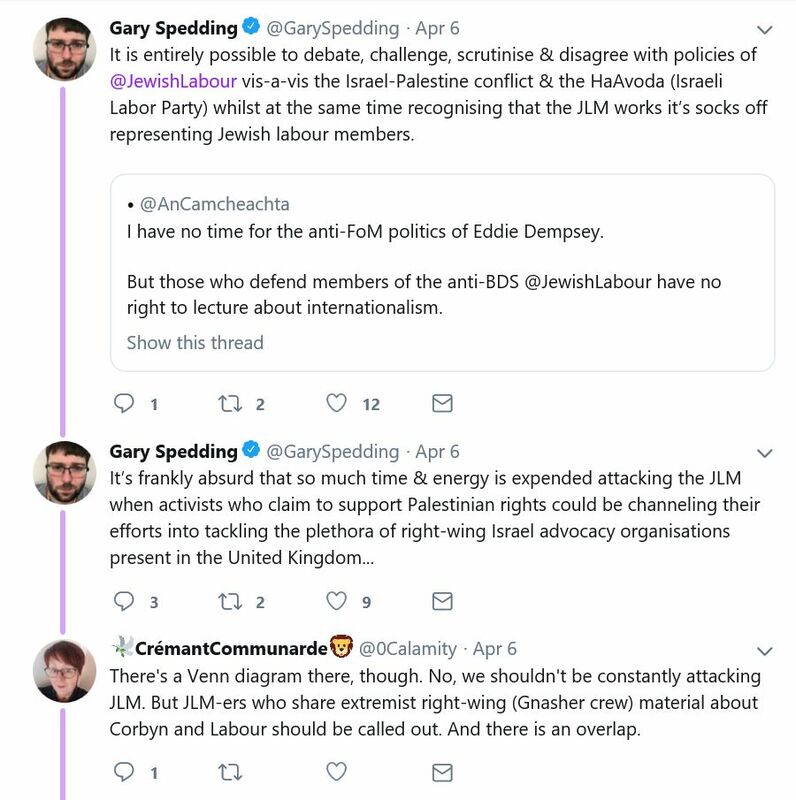 Much like Ungar-Sargon’s The Forward claim of progressive Judaism yet real loyalty to Zionism, the UK Jewish Labour Movement (JLM) is supposedly affiliated with the UK Labour party supporting “labour values”, yet it is truly a liberal Zionist organization. It does not require its members to be either Jewish or from the Labour Party, yet has recently passed a no confidence motion of Jeremy Corbyn based on discredited charges of “anti-Semitism”. All those who claim to care about Palestinians, including progressive Jews and organizations such as If Not Now who in their broad umbrella avoid implicating Zionism or directly supporting BDS cannot continue to claim left wing universalist values while simultaneously serving as the “liberal” wing of the apartheid Zionist regime. Only a consistent and unapologetic anti-Zionist framework is effective and congruent with leftist values. 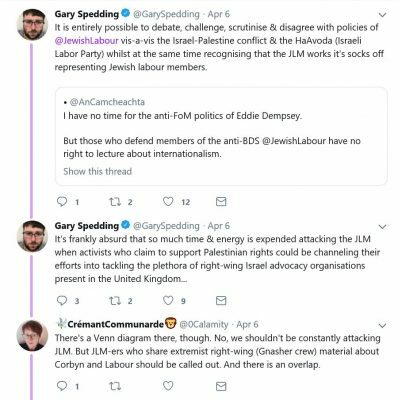 Reminder that Gary Spedding whitewashes the zionist JLM. Randa Abdel-Fattah makes convincing points to the Sydney crowd demonstrating Israeli PM Netanyahu’s visit to Australia on February 23, 2017. Aboriginal playwright Ken Canning addresses the rally. The following day Randa tackles Mark Leibler and Stan Grant on ABC News. 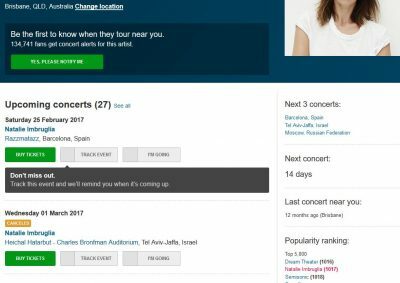 After a solid campaign by concerned groups and Indigenous people, Natalie Imbruglia has cancelled her gig in Israel which was scheduled for March 1, 2017. The campaign was co-ordinated by Don’t Play Apartheid Israel with an accompanying Facebook page. Natalie’s decision to refrain from playing in Israel is much appreciated, following the passing of a criminal “law” by Israel’s Knesset retrospectively “legalizing” theft of private Palestinian lands for illegal Jewish-only settlements. Recently, in concert with renewed bombing, Israel prevented anaesthetic gas from reaching Gaza, yet after international pressure, one shipment of anaesthetic was permitted before Israel slammed the Gaza prison gates shut for all imports and exports. Gaza’s civilian population has lived under brutal siege by Israel since 2006. Of 2 million Gazan civilians persecuted by Israel’s military Occupation, over half are children. 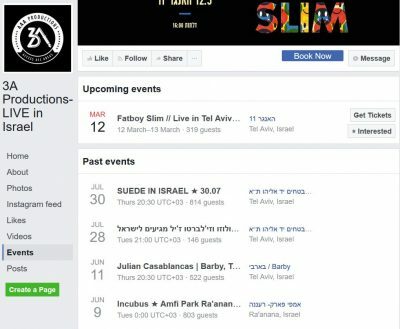 Let’s hope Australian band Pond, UK-based Nick Cave and the Bad Seeds, Fat Boy Slim and Radiohead similarly revise their tour plans to exclude the apartheid state of Israel and respect the principled Palestinian-led boycott, divestment and sanctions campaign (BDS). Sign the petition to persuade Radiohead to respect the boycott. 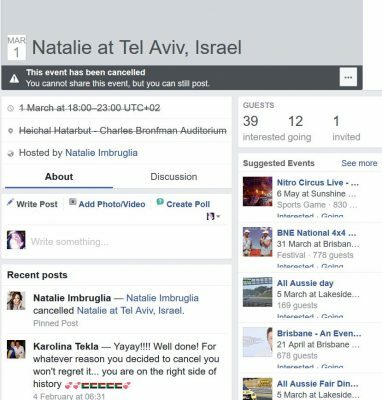 In the JPost (12 February, 2017), event organisers are quoted saying Natalie cancelled because of “logistic constraints”, that she apologises and will reschedule. Nevertheless, “Concert producers said refunds would be given to all ticket holders” and thus a reschedule is not expected in the near future. No new concert in Israel appears on Natalie’s tour program or the promoter’s events. Clearly, by claiming the concert will be rescheduled the promoters facilitate the Israeli anti-BDS propaganda. This tactic has been used rather frequently. For example, when Pharrell Williams cancelled his July 2016 gig due to “scheduling problems”, it was claimed falsely by JPost he would reschedule. However, two and half years later Lana Del Rey has not rescheduled. 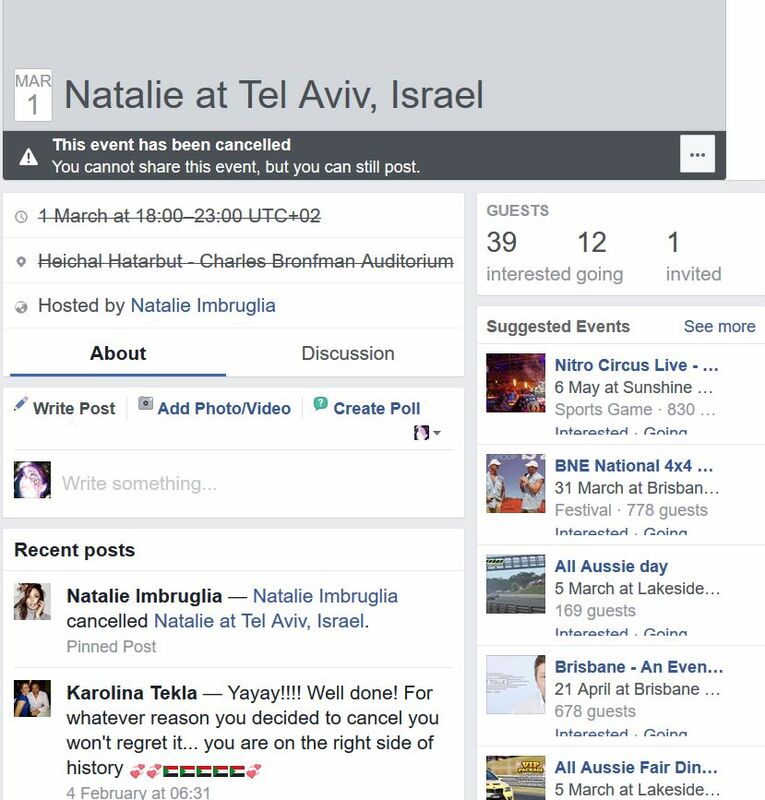 At Walla (Hebrew), “industry sources” allegedly are blaming poor ticket sales for Natalie’s cancellation. “Industry sources” also claimed Pharrell Williams’ concert was cancelled due to low ticket sales. Are “low ticket sales” yet another repeat excuse deployed to disguise cancellations made by musicians who decide to refrain from crossing the boycott picket line? The promoters, 3A Productions, are now claiming “she just couldn’t make it” and “she is busy, really busy“, not low ticket sales, for Natalie’s cancellation. Like Aboriginal people in Australia before 1966, indigenous Palestinians who live in Israel are prevented from enjoying full citizenship in that state. Full citizenship is available only on theocratic grounds, to people who are defined as Jewish by the State. Furthermore, Palestinians in Israel are subject to more than 50 laws discriminating against them – de facto apartheid. Palestinians who reside in the Occupied Territories of East Jerusalem, the West Bank and Gaza which Israel seized and occupied in 1967 cannot vote at all in Israeli elections. These Palestinian people subsist in segregated bantustans isolated from each other by apartheid walls and fences with their movement controlled by over 500 checkpoints, preventing them from attending universities and hospitals, and seeing friends and relatives – many families have been separated for years due to this system of apartheid. Indeed the International Court of Justice declared Israel’s apartheid wall in the Occupied Palestinian Territory illegal in 2004 – further international law that it ignores. Palestinians persecuted by military occupation naturally wish to live freely with rights in their own ancestral lands. However, illegal Israeli settlements continually expand and encroach upon those lands, despite several United Nations Security Council (UNSC) resolutions. Most recently, on 23 December 2016, the UNSC passed another resolution unanimously against expansion of the illegal settlements, and again affirmed their illegality under international law, yet Israel refuses to recognise these resolutions. Israel has now declared de facto war on the resolution’s sponsors, including New Zealand  and also intends to withhold UN dues . Since the resolution Israel has accelerated its demolition of Palestinian homes to four times its 2016 weekly average, making hundreds of people homeless. Nearly 800,000 Jewish people now reside illegally on Palestinian lands, enjoying full political rights while Palestinians languish, brutalised by military occupation and without rights. Palestinian refugees driven out in the 1948 Nakba from the areas which Israel claimed comprise the second largest refugee population in the world and again, despite the requirements of international law, Israel refuses to permit these Indigenous people to return to their homes. In many countries Palestinians are stateless, living in squalid refugee camps for decades, never giving up hope that their right of return will be realised and they can return to their Indigenous home and heritage which has been usurped and colonised. Zionist colonisation of Palestine follows a similar trajectory to British colonisation of Australia, where Indigenous Australians were forced into isolating missions and reserves, slaughtered and dispossessed of their land and culture, while Palestinians too are subjected to extreme violence and forced into refugee camps and bantustans We understand you have experienced the end results of these genocidal colonial crimes during your participation in the First Contact SBS programme and are sympathetic to the plight of Aboriginal people in Australia consequent to white colonisation. 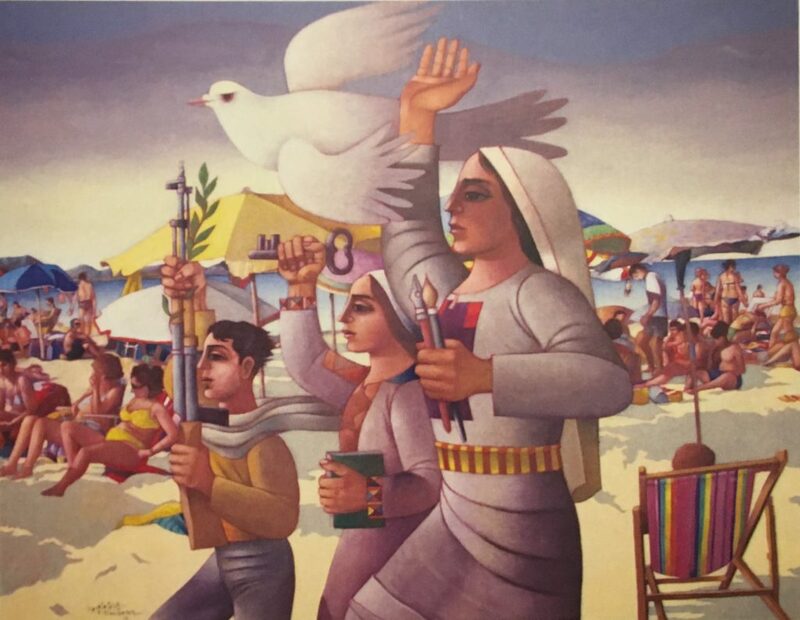 We ask you to consider also the distressing situation for Palestinian people and the importance of support for their struggle for liberation and justice. Because the international political community has refused to act to support their rights, Palestinians called in 2005 for cultural boycott and asked people of conscience like yourself for solidarity with their movement by refraining from performing in Israel. By respecting their call, you will also be supporting the women of Gaza who suffer from breast cancer, another area where you have shown empathy. Israel prevents breast cancer sufferers, and indeed most cancer sufferers from obtaining appropriate treatment, due to its collective punishment of two million civilians which it has incarcerated in the largest prison in the world – Gaza – since 2006. The UN has estimated that without major reconstruction, Gaza will be uninhabitable by 2020. [Ibid.] Should you play your concert in Israel, be aware that this crime against humanity is being perpetrated just miles from you. Certainly, Israel will continue to carry out its injustices against the Palestinian people if we are silent and do not act. 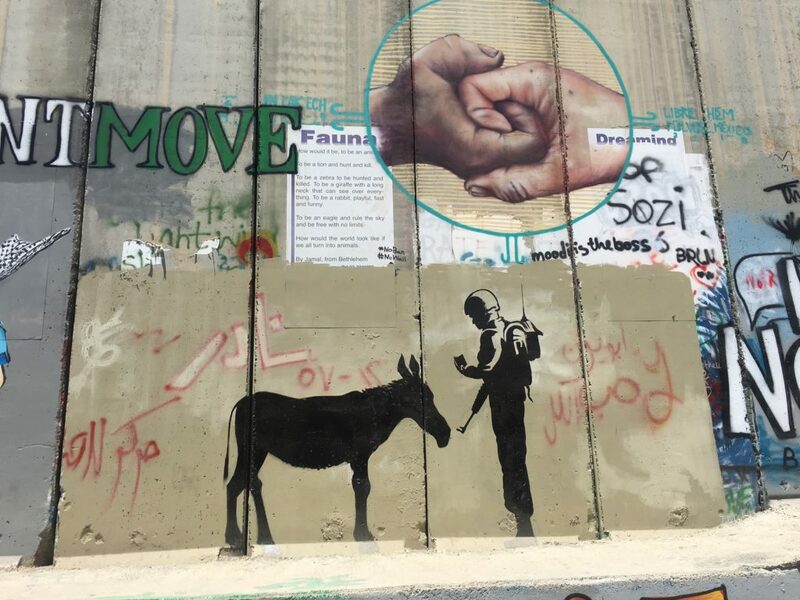 We implore you to recognise your performance in Israel cannot create bridges over apartheid, oppression and suffering, merely obscure it so Israel can continue to pretend that its crimes are “normal” and blame Palestinians for their own plight. This is clearly not the case any more than the myth proliferated by white supremacists that Aboriginal people in Australia are responsible for their own immiseration. The reality is that for Israel any show that isn’t cancelled because of boycott appeals is considered a political victory over the Palestinian struggle and international solidarity with it. Performing in Tel Aviv means playing for a segregated audience, on ethnically cleansed land. We really hope you can’t see yourself doing this and you join Lauryn Hill, Cassandra Wilson, Sinead O’Connor, Cat Power, Massive Attack and thousands of other artists who have refused to play in Israel – in Ireland over 540 artists have pledged to boycott the state, as have over 1,190 in the UK, and many more all over the world. Please respect the Palestinian call to boycott Israel – you can make a real difference here and help tip the moral scales toward justice. We are a group, of over 2000 members from many nations around the globe, who believe that it is essential for musicians & other artists to heed the call of the PACBI, and join in the boycott of Israel. This is essential in order to work towards justice for the Palestinian people under occupation, and also in refugee camps and in the diaspora throughout the world. It’s not that one has been forced to silence, rather that words have tumbled elsewhere than this blog for a while. Here’s a good excuse to restart this blog – commenting on the imprisonment of Palestinian poet, Ashraf Fayadh, jailed for “apostasy” for eight years and 800 lashes, his beheading sentence commuted by the vicious, tyrannical Saudi oilagarchy, best mates of the US empire and Israel, connivers in the oppression of the region and in particular, occupied Palestinians. and can take it with them. words choking their greedy mouths. From Ashraf’s latest poem, written since he was jailed. then he departed, for good. Because of me, let’s say. without it frightening me sufficiently. Why does death scare us to death? spent on the surface of this planet. as is my habit, which grows uglier as time passes. laws and regimes and statutes besiege me. cannot be shaken by living creatures. For Fayadh from Gaza, Haidar Eid performs “Thirsty for Freedom,” adapted from a poem by the late legendary Egyptian poet Ahmed Fouad Negm. How many couplets do you recognise? How many of these poets were oppressed for their visions and lived in squalid unhappiness? Don’t wait till they are dead or imprisoned, treasure your local poets today!